Forest Preserve intern positions available in the High Peaks Wilderness. Help protect the Forest Preserve. | Protect the Adirondacks! Forest Preserve intern positions available in the High Peaks Wilderness. Help protect the Forest Preserve. 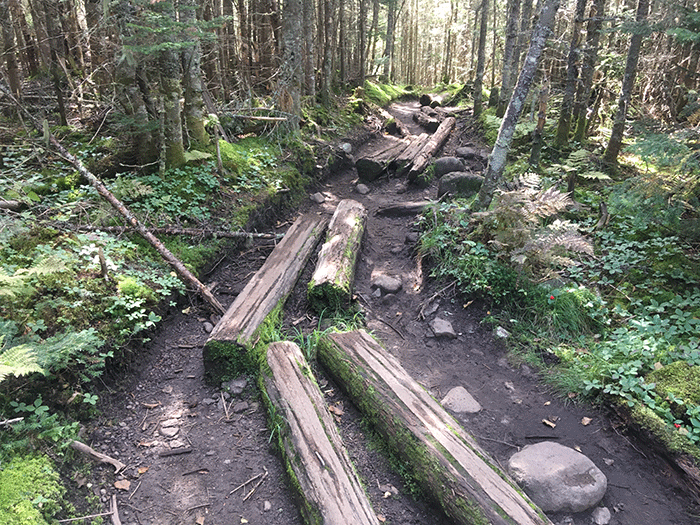 This summer, Protect the Adirondacks is organizing a team to hike trails and camp deep in the Forest Preserve throughout the Adirondacks and spend their days monitoring trail conditions, documenting motor vehicle trespasses and impacts, and monitoring overuse. We’re seeking individuals to work this summer to canvas the Forest Preserve to report on and document overuse and illegal motorized trespasses. Positions could be extended into the fall. These are full time positions for the duration of the work period. This is a great opportunity to explore the remote and wild areas of the Adirondacks and help to protect the public Forest Preserve. These are paid internships and Protect the Adirondacks help with equipment. Interns need a smartphone, driver’s license, and comfort in the forest hiking and camping (or willingness to learn how to hike and camp). Interns will need to know how, or be able to learn, to follow a scientific field study protocol, learn GPS, map and compass reading, and work with a scientific database program. A big part of this project is work in the High Peaks where monitors will hike all the trails and document trail conditions, campsite conditions, lean-tos, and conditions of summits. We’re currently working to raise the funds necessary for this part of the project. We hope to have the High Peaks part up and running soon. PROTECT is looking for several Forest Preserve monitors who want to work in the outdoors this summer. The purpose of the project is to document the extent of ATV trespass and damage on the roads, snowmobile trails, and trails of the Forest Preserve. There will be a focus on the southern and western Adirondacks. These are paid internships and we’ll help with equipment. Interns need a smartphone, driver’s license, and comfort in the forest hiking or camping (or willingness to learn how to hike and camp). Interns will need to know how, or be able to learn, to follow a scientific field study protocol, learn GPS, map and compass reading, and work a scientific database program. Those interested should email info@protectadks.org. Contact PROTECT at info@protectadks.org. This is a great opportunity to explore the remote and wild areas of the Adirondacks and help to protect the public Forest Preserve.